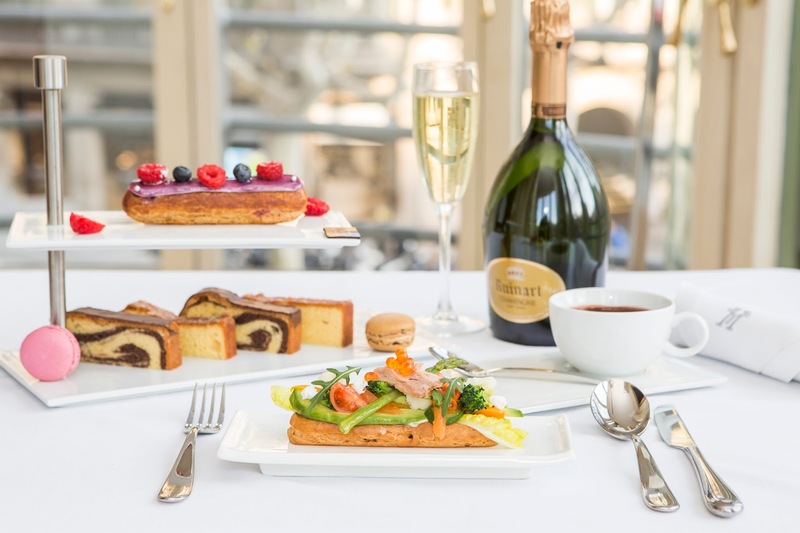 Fashion Tea at the Majestic: a luxury experience not to be missed! 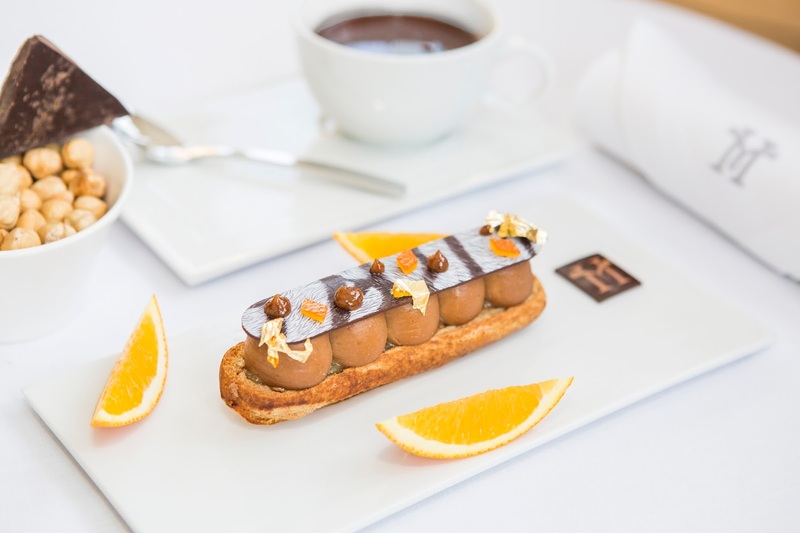 A fashionable tea at the Parisian looking Majestic hotel to be pampered! That is what it is all about. 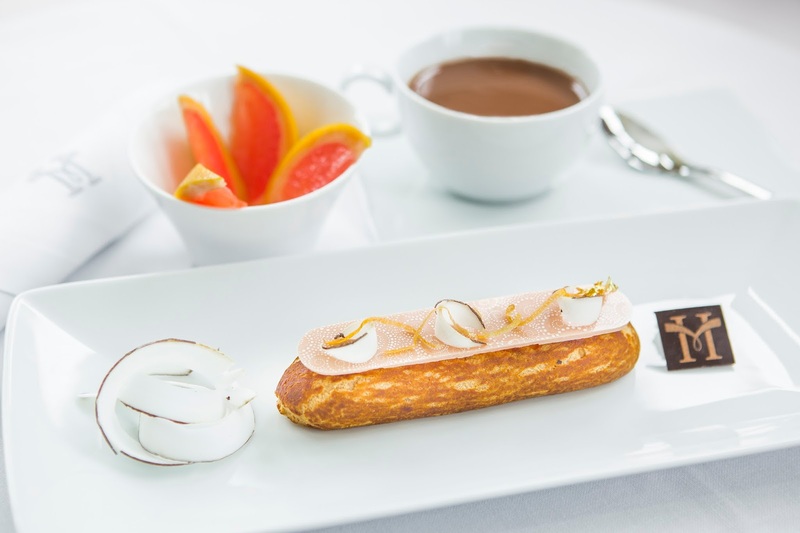 Fashion and michelin stars get together to offer us an exquisite time. 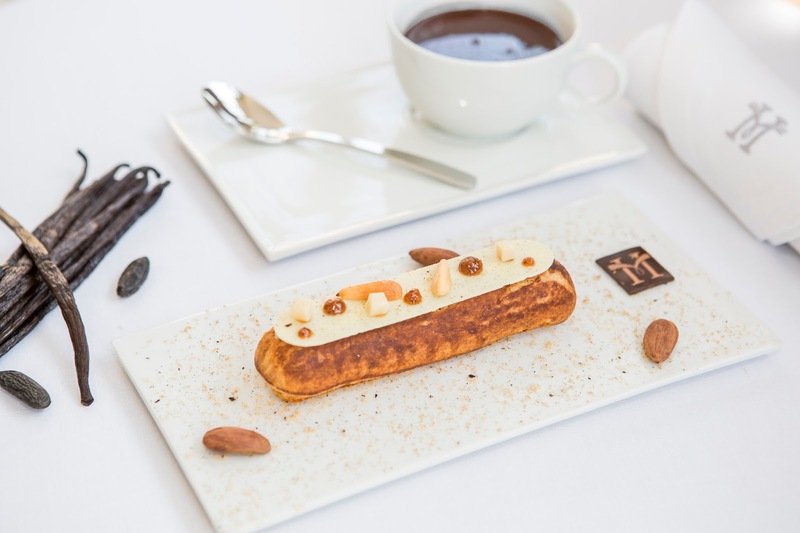 Every evening from 4 to 7pm, you can have their fashion éclairs with a hot beverage or champagne. 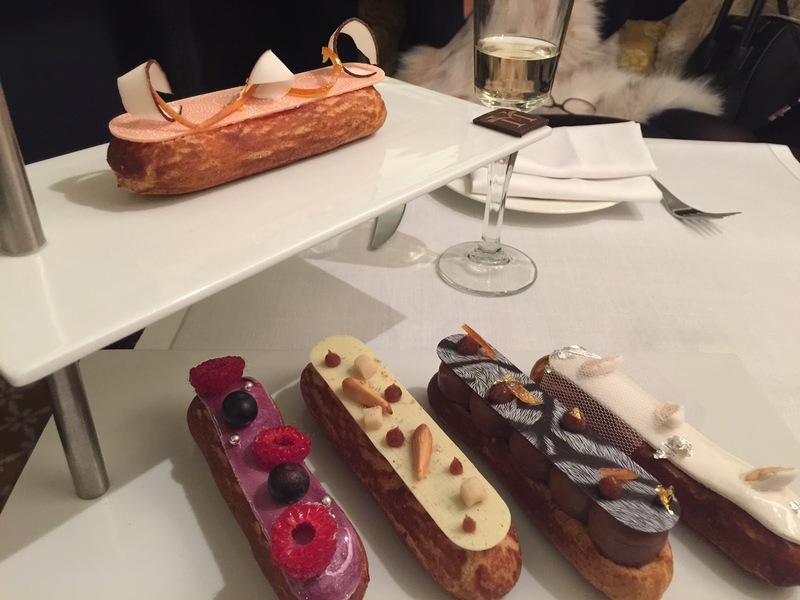 The hight street brands of Pg de Gracia where The Majestic is situated, inspired these 5 éclairs: Fiamma by Salvatore Ferragamo, Pasion Romana by Bvlgari, Perugia by Brunello Cucinelli, 2015 by Rosa Clara & Sweetie by Jimmy Choo. This fashion tea will be served in a historical space which exudes sophistication with its luscious leather sofas and wooden tables facing an open kitchen. 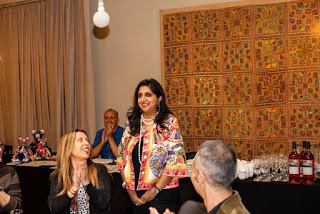 The carte as well as the gastronomic offer at the Majestic is under the supervision of the famous catalan chef Nandu Jubany. 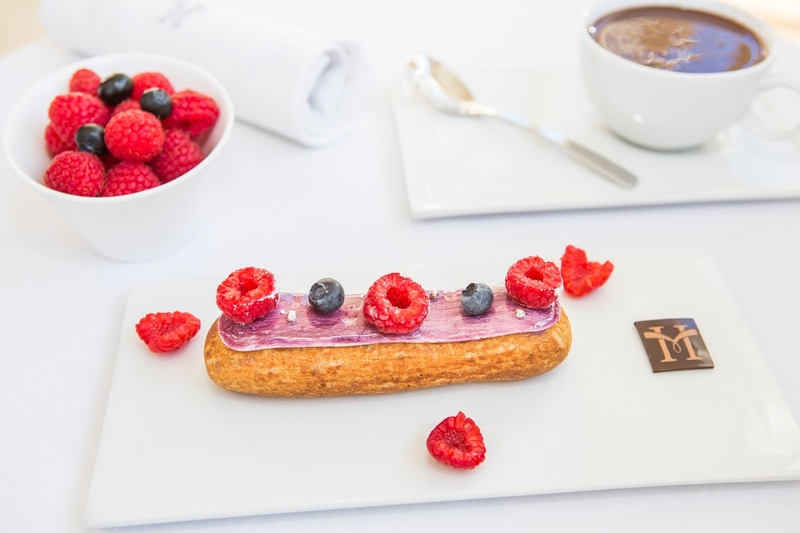 The Majestic Fashion tea: a sweet fashion éclair, homemade plum cake and a hot beverage (their hot chocolate is divine) for 16€. 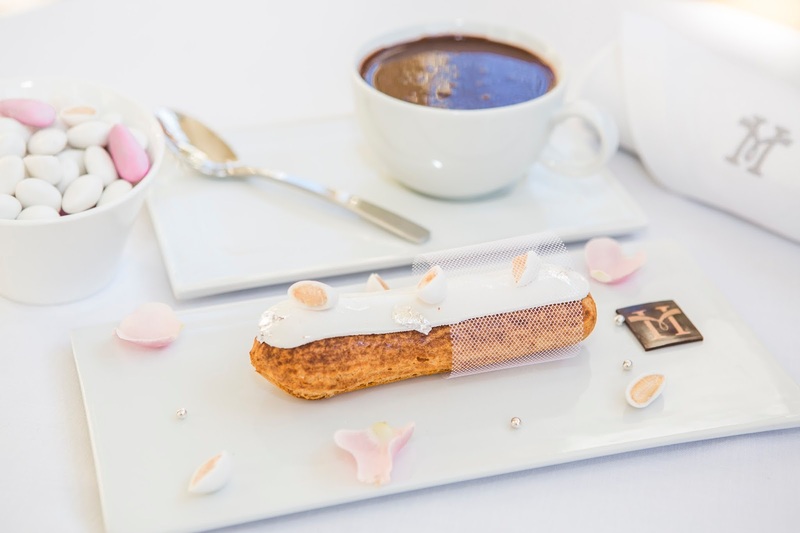 The Majestic Champagne Fashion Tea: you will start with a delicious savoury éclair and a glass of Ruinart Champagne, continuing with a sweet fashion éclair , a macaroon, homemade plumcake and a hot beverage: 31€. 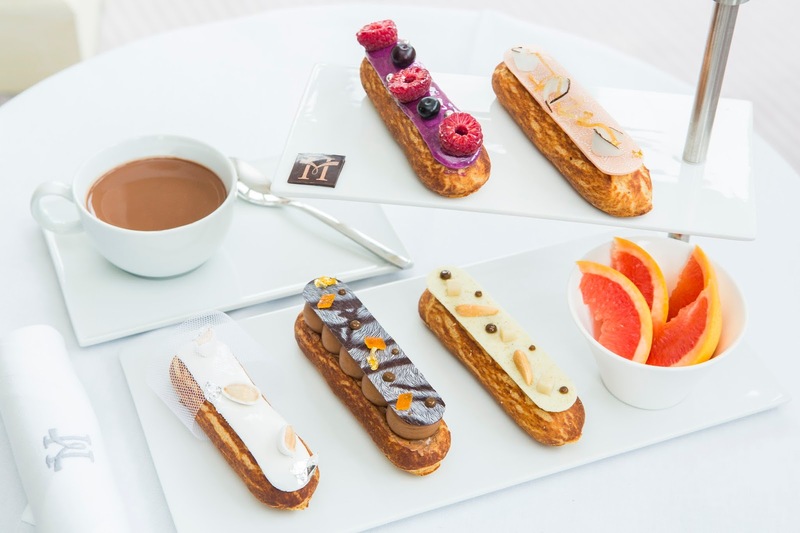 I love éclairs and I have had the best in Paris, these ones are quite original and very pretty to look at. In a chic ambiance, at the Bar on the ground floor, with live piano music, a wonderful option while shopping or to celebrate something special. Montse from Ferragamo with the Fiamma bag, inspiration to the Fiamma éclair! 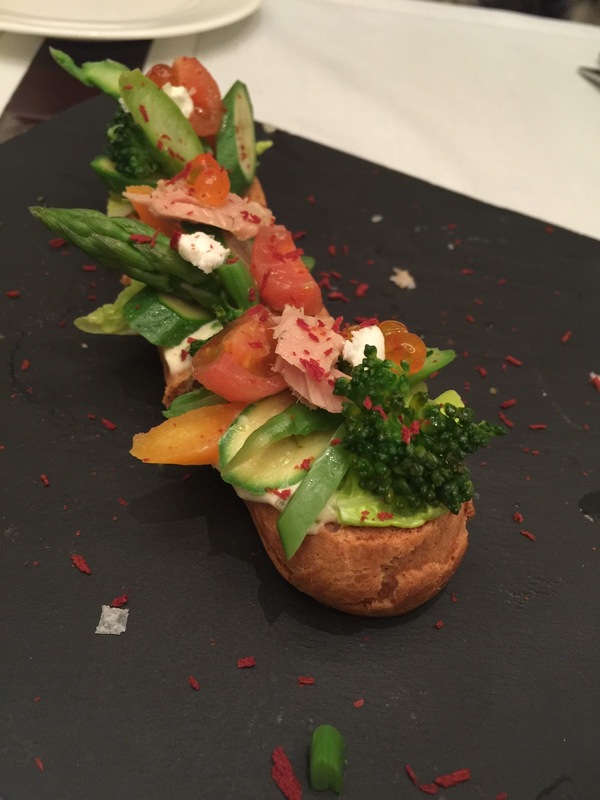 The savoury éclair, fresh n light! Perugia by Bruno Cucinelli, with its ingredient, delicate vanilla & almonds. Pasion Romana by Bvlagri with its red fruits! Sweetie by Jimmy Choo, hazelnut, chocolate and orange. Look at the intricate work in this Ferragamo éclair, with cocnut. My favorite was the Rosa Clara: with dragées. 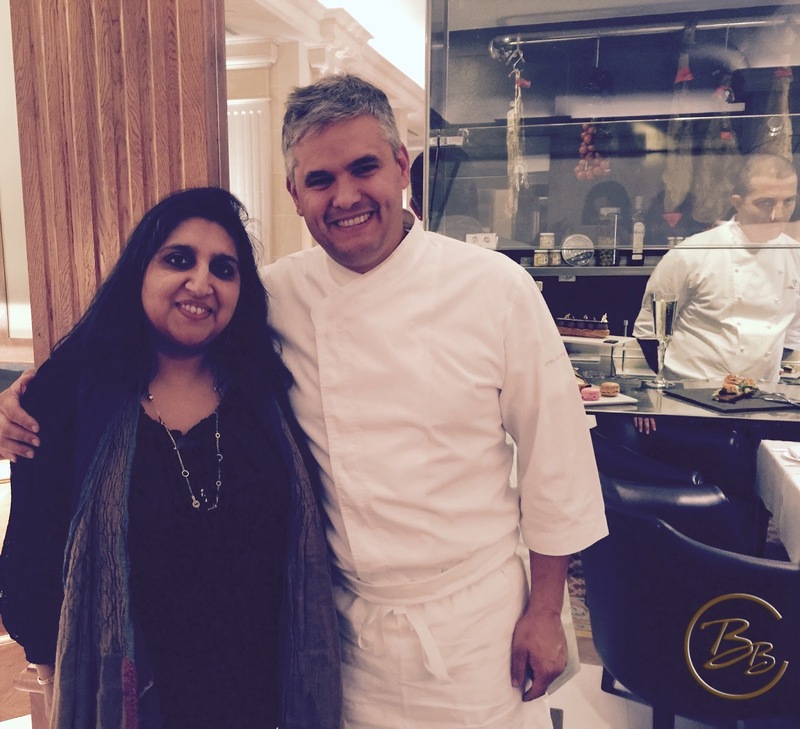 Encounter with Chef Nandu Jubany.